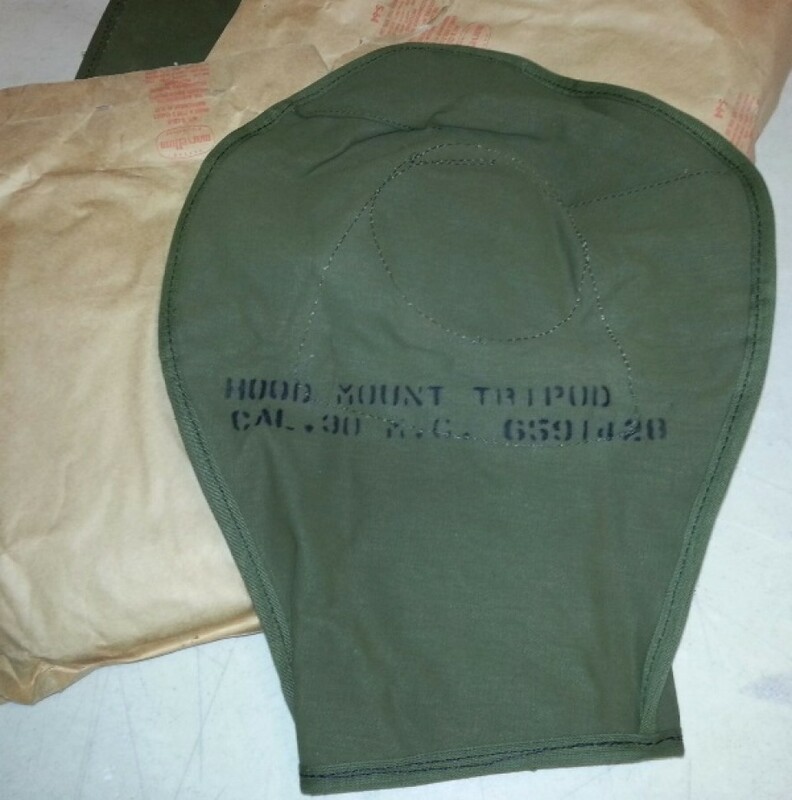 This is a USGI tripod cover for .30 cal machine guns. Covers will protect the tripod head and pintle while extending partly down the legs. Cover will work with a WWII M2 Tripod (for 1919's) and the Vietnam era M122 ( for use with the M60). 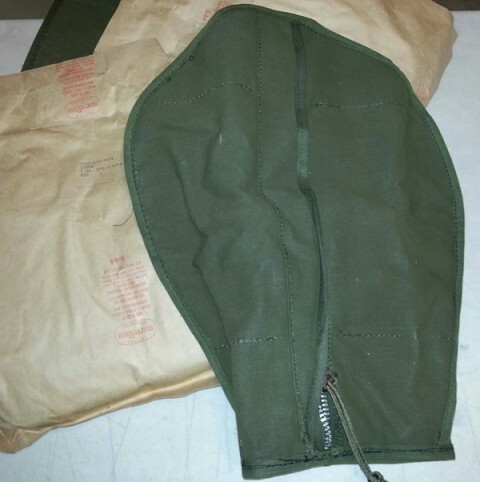 Covers are heavy OD Green canvas with aluminum zipper. They are in unissued condition. The outer paper wrappers are dated 1973 and are torn from storage, but the covers are fine.